Holland is not just all windmills and wooden shoes. It is also flowers. Tulips in particular. And in the spring time, Holland becomes one of the most colorful regions in the world. The famous flower season begins with crocuses in late March, followed by daffodils and hyacinths, until the tulips burst onto the scene from mid-April until the end of May. Start your flower tour with a visit to the Singel canal in Amsterdam, home to the world’s most unique flower market. All the flowers are displayed on floating barges. First held in 1862, the floating flower market has become the best-known market in Holland. A must-see is the annual Flower Parade (April 25) where you’ll witness an amazing spectacle of flowers. The Parade features 20 enormous floats and 30 cars richly decorated with flowers driving a 25 mile route from Noordwijk to Haarlem. Did You Know? Tulips were used by the Dutch as money in the 17th century. 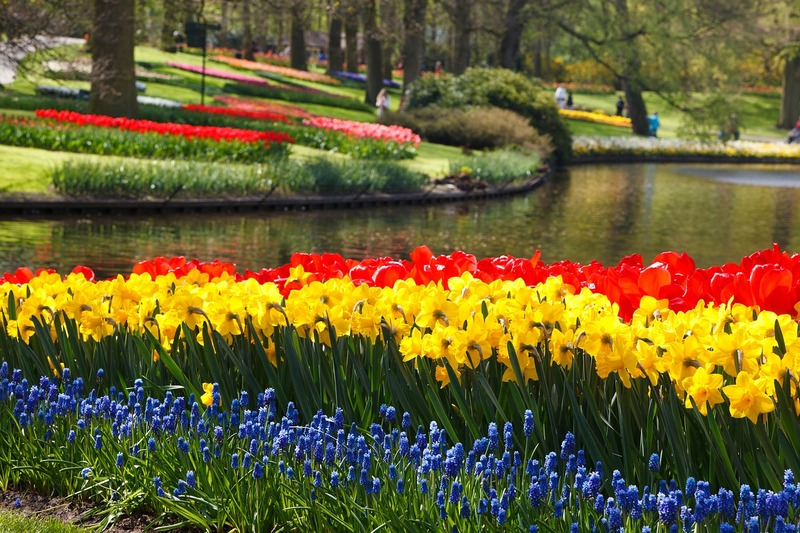 Head to Keukenhof for an incredible display of flower. Keukenhof is home to Holland’s annual tulip festival and the most well known tulip festival in the world. The Dutch festival is located just south of Amsterdam in the small town of Lisse. The beautiful Keukenhof estate, which dates from 1642, boasts a 32 hectare park and is filled to overflowing with more than 7 million gorgeous flower bulbs. This year’s theme is Van Gogh and the highlight is a 250 square-meter flower bulb mosaic of the artist made up of thousands of tulips. 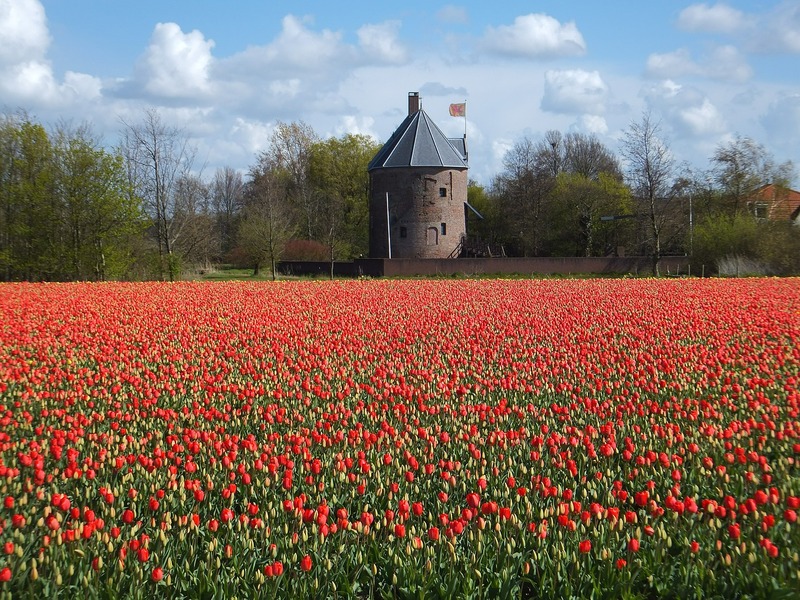 The best way to stay connected while enjoying the flowers of Holland is to download the Wirelesstraveler Wi-Fi Calling App from iTunes or Google Play. Use it on your Android, iPhone, or iPad. WiFi calls app to app are free and calls to the U.S. are 2 cents per minute. To post all your flower pictures, you can use the Pocket WiFi hotspot – with unlimited data, everyone in your party can check their email and social media accounts (up to five devices can connect to the Internet at one time).